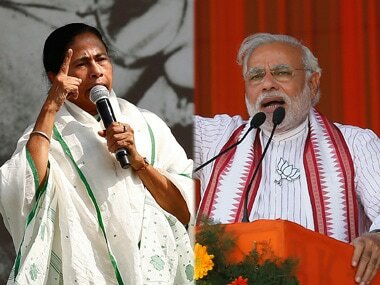 Kolkata: The West Bengal panchayat election would be held in a single-phase on 14 May, the state election commission (SEC) announced on Thursday. Earlier, the elections were scheduled to be held in three phases on 1, 3 and 5 May and the counting was to take place on 8 May. However, the Calcutta High Court had stayed the poll process and directed the SEC to reschedule the election dates after Opposition parties submitted a plea, alleging that TMC members were not allowing them to file nominations. "The panchayat election will be held in one phase on 14 May. Any re-poll, if needed, will be held on 16 May. The date of counting will be notified later," SEC secretary Nilanjan Shandilya told reporters. Shandilya said the poll panel had requested the state government to make sufficient security arrangements to ensure a free and fair poll. The SEC secretary, however, evaded a question on how would the state police be able to provide security if the election is held in a single phase at 58,467 polling booths spread across the state. "The state will look into the security arrangements," he said, while declining to take questions on the Opposition parties' demand for deployment of central forces in the state for free and fair elections. Asked why the SEC decided on a single-phase polling, Shandilya said there were many reasons, including the month of Ramzan. Various Muslim organisations on Wednesdsay had met the SEC and urged it not to hold the polls during the month of Ramzan beginning 16/17 may, as Muslims might find it difficult to take part in the polling process amid the fasting. 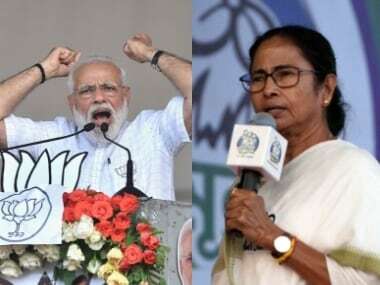 The Opposition parties in West Bengal lashed out at the SEC for announcing single-phase elections in the state and said the ruling TMC was desperate to win the panchayat elections at any cost. The Congress, the CPM-led Left front, and the BJP, denounced the SEC for not consulting the stakeholders before announcing the poll date. "The SEC was supposed to hold discussions with all political parties before announcing the polling date. But the SEC didn't bother to do that. The SEC has turned into a back office of the Trinamool Congress. The TMC and the SEC are desperate to ensure that there is lawlessness on the day of poll," state Congress president Adhir Chowdhury said. West Bengal Left front chairman Biman Bose also criticised the SEC and said the TMC was trying to write the epitaph of democracy in the state. "If the entire state police force is used to conduct panchayat polls, then who will man the police stations. The state police force is not at all sufficient to conduct elections on a single day at more than 58,000 booths across the state," Bose said. State BJP president Dilip Ghosh said the TMC wants to unleash violence on the day of polls. "The TMC wants to unleash violence on the day of poll as it did during the nomination process. 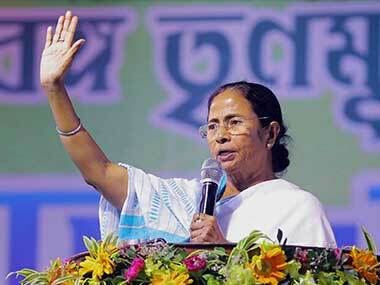 But we will fight to ensure that people can exercise their democratic right," Ghosh said. 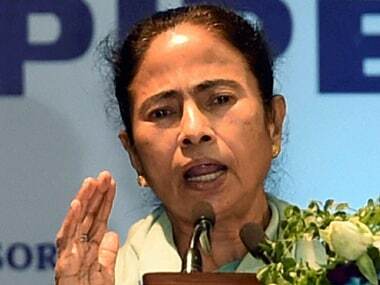 Chief Minister Mamata Banerjee, however, expressed happiness with the announcement of the date of panchayat polls and hoped that it would be a peaceful election. The election on 14 May will be held from 7 am to 5 pm. The entire election process has to be completed before 21 May, said a gazette notification on Thursday. According to the West Bengal Panchayat Act, 2003, there has to be a gap of at least 21 days between the last date of filing of nominations and the date of polling. According to this rule, the election cannot be held before 14 May. The nomination filing process for the panchayat poll was marred by violence and clashes between the ruling TMC and Opposition parties workers in the state, resulting in loss of a few lives. The Calcutta High Court had on 20 April directed the SEC to reschedule the dates for the panchayat polls. The nomination process for the panchayat polls had ended on 9 April, but it was extended by a day by the SEC the same evening following a Supreme Court court order. The West Bengal government and the TMC had objected to the nomination date extension by the SEC, which had cited a Supreme Court direction to "allay the apprehensions of aspiring candidates" in its notification which had extended the nomination deadline by a day. The notification, which had referred to the apex court order, however, was withdrawn by the SEC on 10 April morning. This led BJP to move the Supreme Court on 11 April objecting to the recall of deadline extension, but it was asked to approach the high court with its grievances. The BJP subsequently moved the high court challenging the rollback of extended deadline, and Justice Subrata Talukdar stayed the election process on 12 April. Apart from the BJP, the CPM and the PDS, the Congress too had moved the high court separately challenging the SEC's decision to recall the nomination deadline extension. The SEC and TMC had challenged the petitions claiming they were not maintainable before the high court as the election process has started. Holding the petitions challenging the cancellation of notification as maintainable, Justice Talukdar, however, had asked the SEC to issue fresh notification extending the date for filing nominations. On the high court order, the SEC had announced 23 April as the extended date for filing nominations for the three-tier rural election.